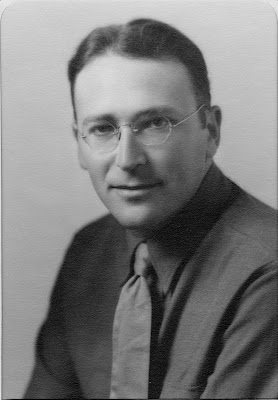 The Brandeis University Archives & Special Collections Department is fortunate to hold the papers of distinguished academic and public intellectual Lewis Samuel Feuer (1912-2002). A polymathic scholar, Feuer produced a substantial body of research on the history of science and the sociology of ideas. Aside from his prolific scholarship, Feuer was also known for his lifelong political activism. He advocated on behalf of the political left during the 1920s and 1930s, but by the 1960s and 1970s, he had become a prominent neo-conservative. Born to Jewish parents in New York City’s Lower East Side, Feuer earned his bachelor’s degree at City College in 1932 and went on to complete a Ph.D. in philosophy at Harvard University in 1935 (the undated photo at left comes from this period). He began his academic career with teaching positions at Harvard, City College, Vassar, and the University of Vermont. 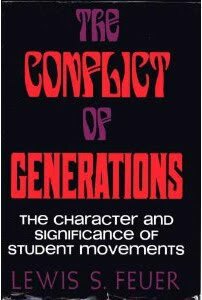 In 1963, he moved to the University of California, Berkeley, where his encounters with the school’s student movement led to his most well-known (and controversial) book, The Conflict of Generations: The Character and Significance of Student Movements. Unhappy with the political environment fostered by student radicalism, in 1966 Feuer took a position at University of Toronto. He returned to the United States in 1976 to teach, as a University Professor, at the University of Virginia, where he remained until his retirement in 1988. Feuer’s radical ties threatened his early career. His private papers from the 1930s detail conversations with colleagues who refuse to renew his contract or write him letters of recommendation because of his connections to the Communist Party. Due to his radical associations, in 1941, New York State’s Rapp-Coudert Committee on educational subversion (what historian Ellen Schrecker has dubbed the “direct forerunner to McCarthyism") called on Feuer to testify. Pictured to the left is a contemporary journal entry recounting Feuer’s experience of that hearing. The Lewis Feuer Papers are an invaluable resource for scholars studying the history of the American Left, the history of twentieth-century intellectuals, and the history of neo-conservatism. 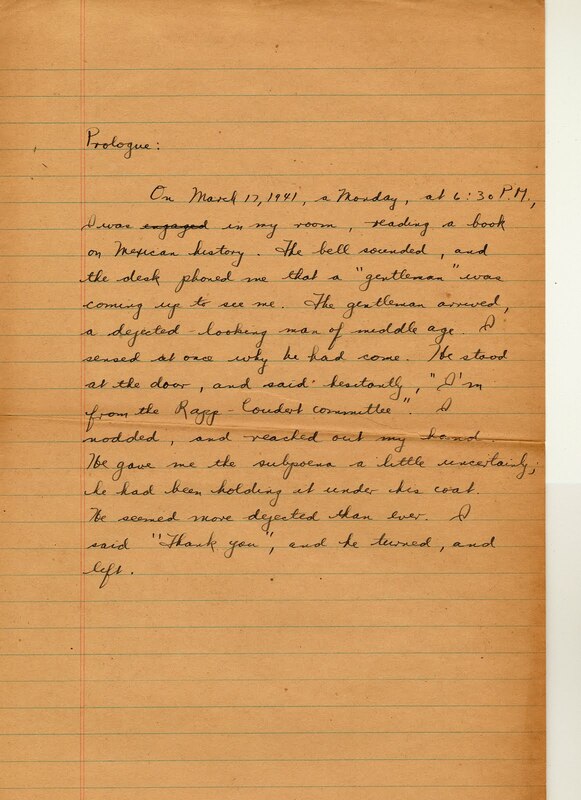 The collection includes Feuer’s extensive collection of journals and correspondence stretching from his involvement with the radical left in New York City and Boston during the 1920s and 1930s, through his antagonistic relationship with the New L eft in the 1960s, to his growing conservatism in the 1970s and 1980s. Throughout these years, Feuer kept up a lively correspondence with other influential intellectuals such as Nathan Glazer, Sidney Hook, and Horace Kallen. The collection also gives scholars the opportunity to closely study Feuer’s intellectual development. His papers include many draft articles, revisions, and book manuscripts. Finally, Feuer was an avid collector of radical journals and magazines. This part of his collection serves as an excellent complement to the materials contained in Brandeis’s Radical Pamphlet Collection. 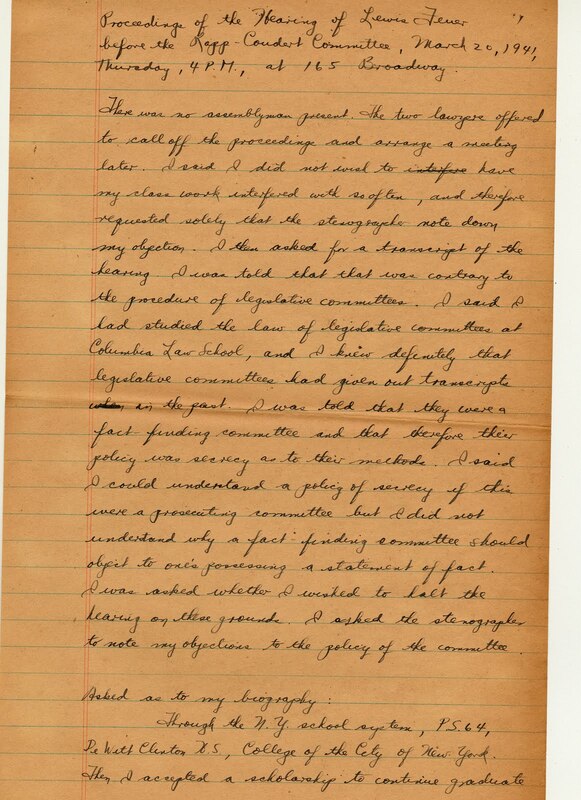 See the online finding aid to the collection here.